Every family has a secret that’s best left alone. 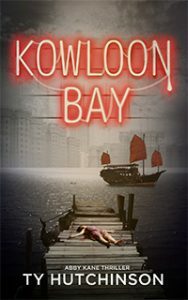 After the murder of her husband in Hong Kong, FBI Agent Abby Kane moved her family to San Francisco as a way to start over. Nearly three years have passed, and now she’s returning to her homeland for a family holiday. In an effort to help her children learn more about their Chinese heritage and remember their father, Abby discovers an unthinkable secret that has her questioning the entire family she married into. Kowloon Bay explores the well-established practice associated with Asian culture: saving face. To what length is perpetuating a lie better than acknowledging the truth?